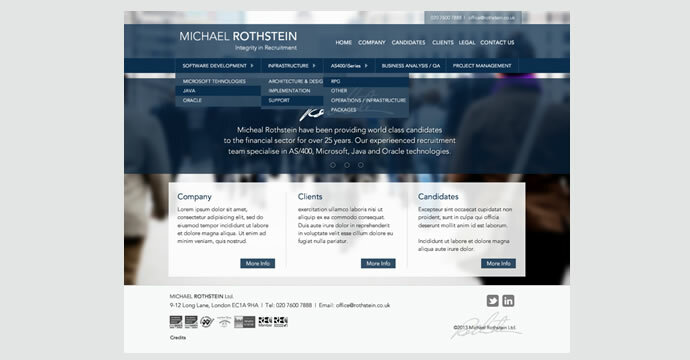 Employing Candidates for FTSE 100 and Fortune 500 Companies across the world, Michael Rothstein Ltd have been established in the Financial and IT Recruitment industry since 1984. 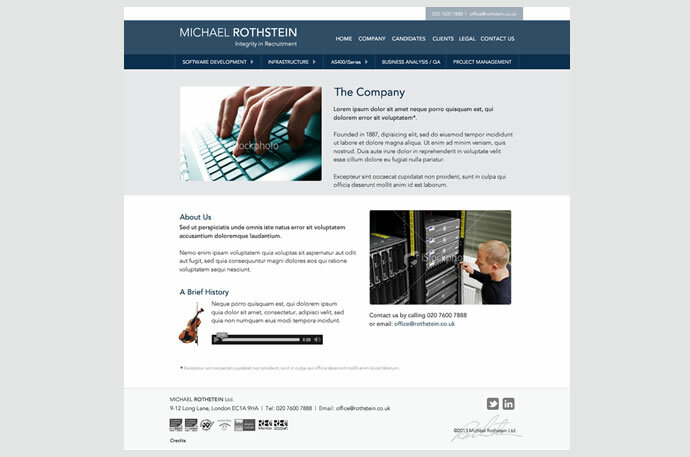 I was required to redesign their existing website to reflect the companies history and prominence in the Recruitment Industry. 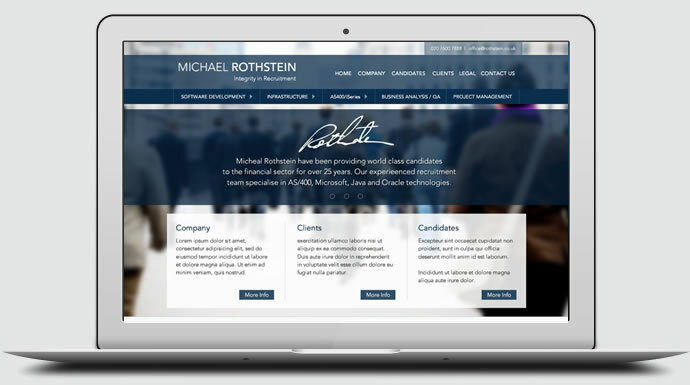 I created the site with a clean corporate look which sat well within the financial and IT recruitment sector, but also gained them stand out. The website is quick to load and iPad / iOS friendly. Content and services were displayed by using drop-down navigation along with a JQuery Tab system. I also added audio to the site using HTML5.